On 10/11/15, my friend and I headed out to three great spots in Oceanside. 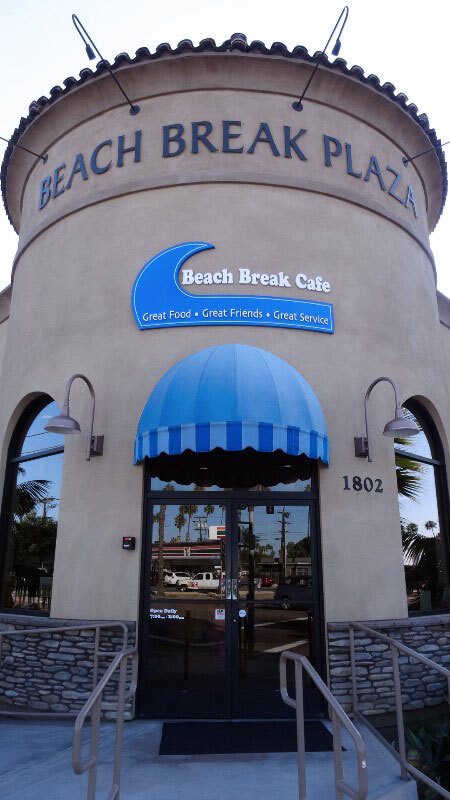 First, we stopped at the Beach Break Café for breakfast. This place is hopping, so either get there early or plan to wait. 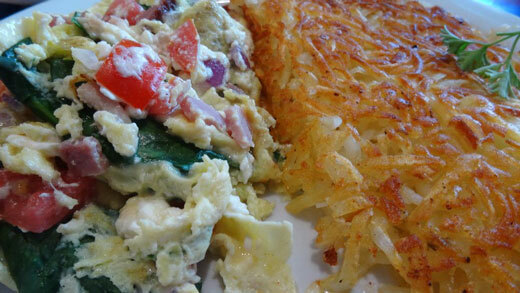 The cafe is located at 1802 S. Coast Highway and they are open from 7am-2pm seven days a week. There is ample seating in the spacious waiting room as well as outside the front doors. They also serve complementary coffee! The restaurant is large. There is outdoor patio seating, counter seating, and indoor seating. The air conditioning is a welcome relief from the heat we have been having. 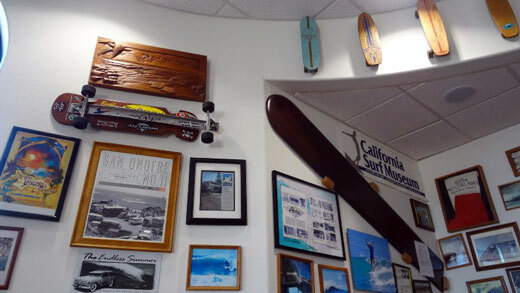 The decorations are very cool-lots of skateboard and surfboard memorabilia. There are several televisions, but the sound is turned way down (or off) so it does not disturb the diners. The televisions are set to surfing shows. The food is plentiful and their menu is extensive for a place that just serves breakfast and lunch. Amazing service from the time you check in until the time you leave. They are really on top of getting people seated as soon as possible, clearing tables, and taking orders. We had nothing bad to say about this place at all. Definitely worth a visit and very family friendly. 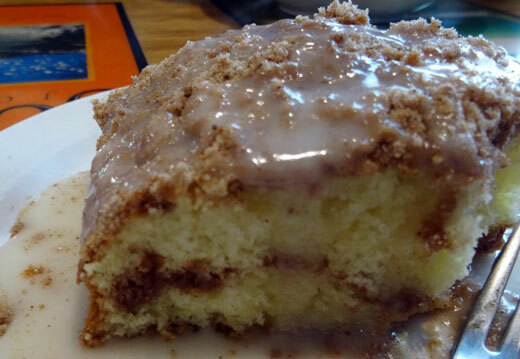 If you do not desire the normal bread choices with your meal, you can choose the mouthwatering coffee cake, loaded with cinnamon, served hot, and with a yummy glaze melting over the top. 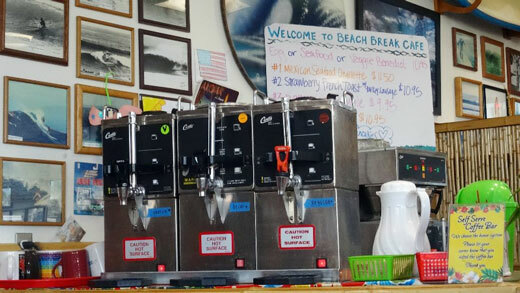 Will definitely return to the Beach Break Cafe. (My companion informed me that the bathroom stalls have surfboards under your feet when you sit on the toilet-bet the kids will get a kick out of that). 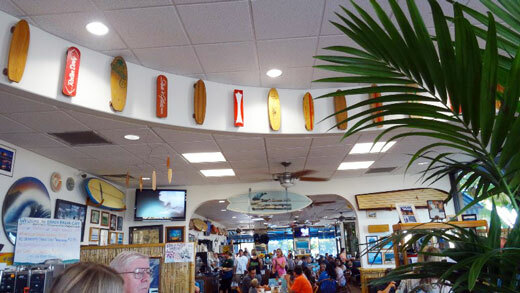 After breakfast, we headed to Buccaneer Beach (located at 1508 S. Pacific Street). 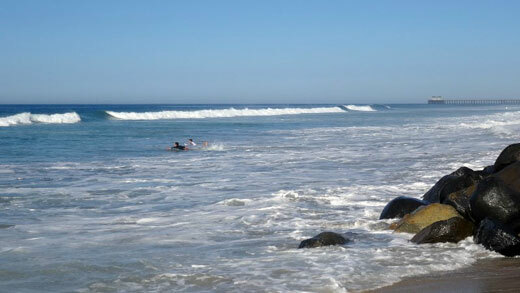 This is a small beach that is perfect in a lot of ways. There is a parking lot (although it definitely fills up quickly). On the parking lot side is the Buccaneer Cafe. This cafe is open from 8am-2pm. 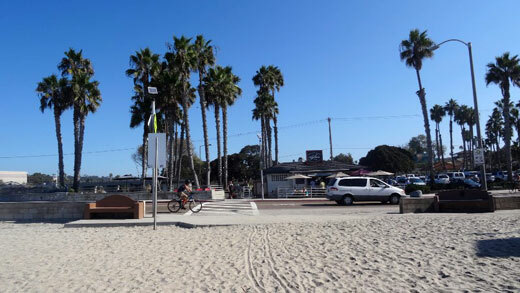 The food and drinks are a bit pricier, but it is right across the street from the beach, a very short walk, so they have a monopoly on beach goers in the area. They have seating areas and the food is very good. Bathrooms are attached to the cafe as there are no restrooms directly on the beach (but again, a very short walk). 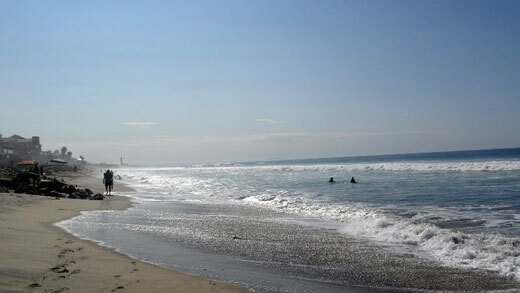 This is a beach that mainly caters to families. 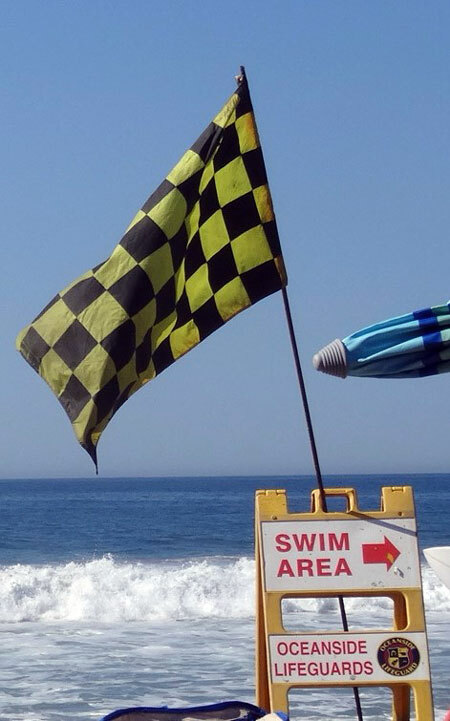 There is a lifeguard on duty and you must be aware of the surfing/swimming areas. The day that we went, the waves were the biggest I had seen so make sure to hang onto the little ones if they want to go into the water. If you get there early enough, the left side of the beach is shaded. It lasts 2-3 hours. Many of the families there had large beach umbrellas, shade tents or canopies. The nice thing about this beach is it is a flat access to the beach, no stairs or hills to climb down, and it is a small beach so you can easily see the water no matter where you set down your towels. 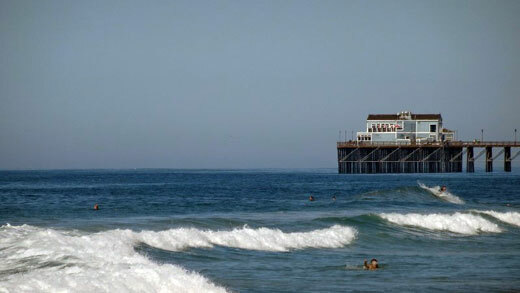 You can see the Oceanside Pier to the right and the Carlsbad smokestack to the left. 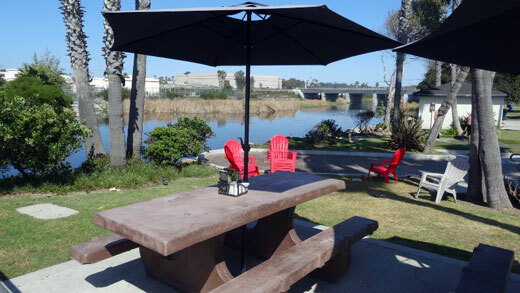 After the beach and a quick cold drink at the Buccaneer Cafe, we were off to the Oceanside Museum of Art (located at 704 Pier View Way). The museum is closed on Mondays, open 10-4 Tuesday through Saturday, and open 1-4 on Sunday. 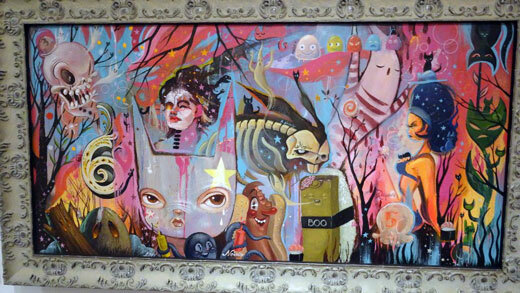 If you love all different kinds of art, they have an exciting variety of artists. It is $8 for the entrance fee for adults, active military are free, and every first Sunday of the month is free. 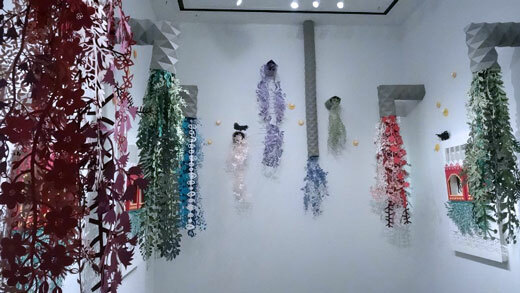 You can go online to check their current exhibits. 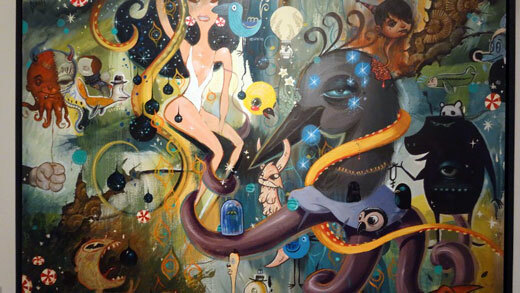 I had checked the website and was very interested in the Baby Tattoo: Carnival of Astounding Art exhibition. The museum is two floors. This is my third time there and I have never been disappointed. They also have a wonderful gift shop with a wide variety of unique items for adults and children. 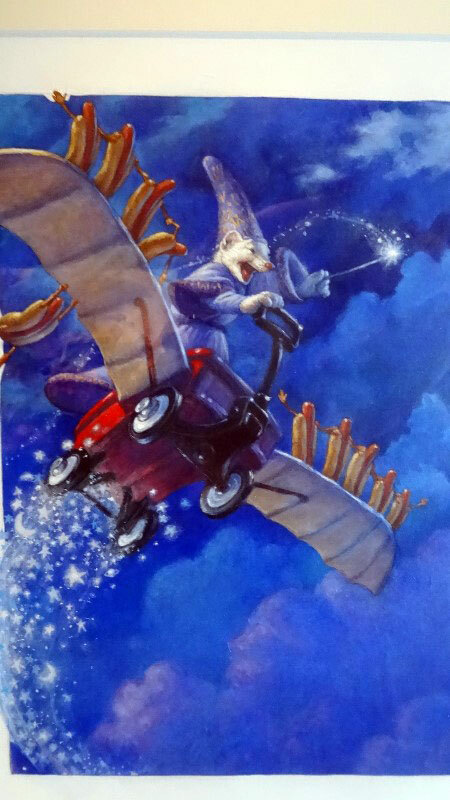 The museum exhibitions I have seen so far are not for small children (due to some of the subject matters). 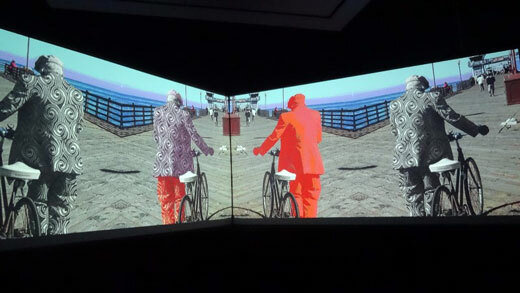 The carnival art was so interesting, with bright-colored artwork, moving exhibits, and strange and bizarre pieces. 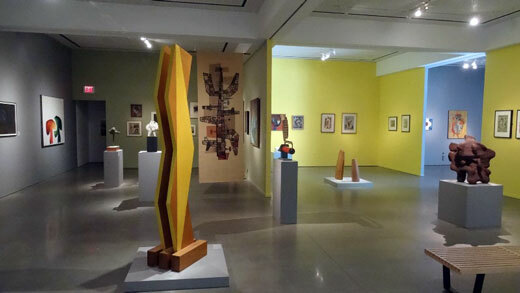 There was also an exhibition on abstract art. And one on cut paper. 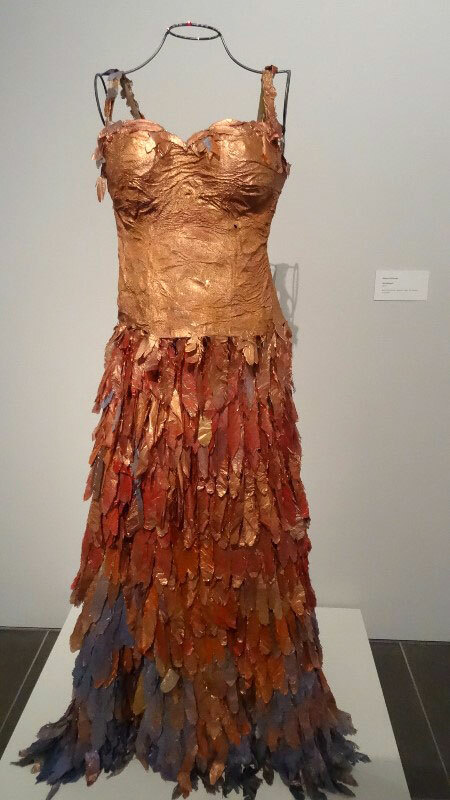 And additional exhibitions, such as this dress made from recycled plastic grocery bags. 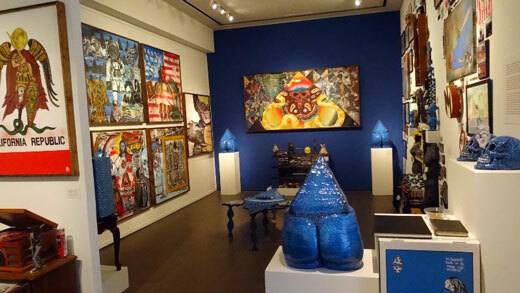 And this artists who had an entire room of color and items to take in. 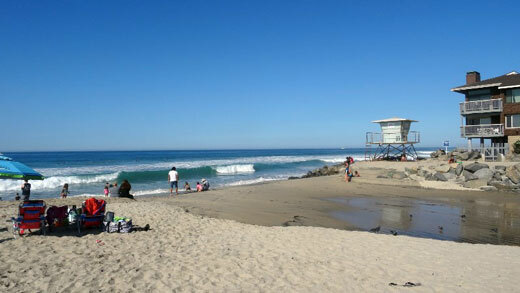 All in all, an amazing day in Oceanside. Love to hear from you if you visit any of these places. Enjoy!